This is the season for string beans and my garden is bursting with them. My wax beans need to be harvested twice a day when it’s warm and sunny. As a result, I make a variation of this salad every week or so during the summer. It’s great for company as a make ahead side dish or first course and it’s great to make a batch to have as a snack or lunch item during the week. 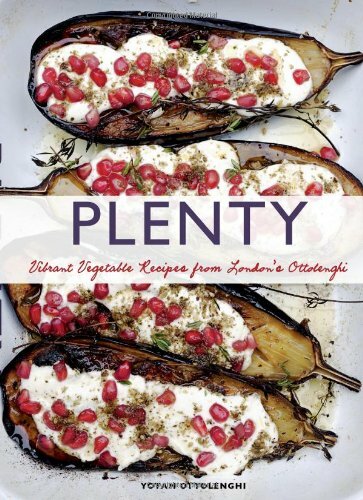 This version of adapted from Jerusalem, one of my favorite cookbooks by Yotam Ottolenghi. His new book, SIMPLE, will be published in October and of course I have pre-ordered it and will post a review when I begin to try the recipes! Bring a large pot of water to a boil and toss in the wax beans for 1 min. Then toss in the green beans and continue boiling them for another 4 min. Drain and submerge them in a bowl of ice water to stop the cooking. When cool, spread on a kitchen towel to dry. Add them to a large bowl. Add 1 Tbsp olive oil to a heavy skillet (my favorite is cast iron) and add the pepper strips and saute for several minutes until starting to brown but not soggy. Remove them from the skillet and add to the beans. Add 3 Tbsp more olive oil to the skillet. Add the sliced garlic and cook for 20-30 seconds. Add the capers for another 10 seconds. Add seeds for another 10 seconds. Remove from the stove and add the contents of the pan to the bowl of beans and peppers, using a rubber spatula to add every drop of the luscious olive oil mixture. Toss the mixture, adding the scallions, herbs, lemon zest and S&P if using. This can be refrigerated for 2-3 days. Make sure to serve this at room temperature for the richest flavor! This version of Paella is as good or better than any I have had when traveling in Spain. I have adapted it from one of my favorite recipe books, Plenty. The veggies take on the smoky flavor of smoked paprika instead of from sausage. And the short grain rice lends a creaminess to this delicious earthy dish. I have used Calasparra rice from Spain which I found on Amazon.com or arborio (risotto) rice also works well. This is a warming and colorful winter entree that you will want to make again and again! Heat the olive oil in a paella pan or a large shallow skillet and saute on low heat for 5 minutes. Add the peppers and fennel and cook on medium heat for another 5 minutes or until golden. Add the garlic and cook for another minute. Add the bay leaves and spices and stir well. Then add the rice and stir thoroughly for 2 minutes before adding the sherry and saffron. Boil down for a minute then aedd the stock and 1/3 tsp salt if desired. Reduce the heat to the minimum and simmer gently for about 20 minutes or until most of the liquid has been absorbed by the rice. Do not cover the pan and don’t stir the rice during the cooking. Remove the pan from the heat. Scatter the tomatoes, artichokes and edemame over the rice and cover the plan tightly with foil. Let rest 10 minutes. Take off the foil,. scatter the olives on top of the paella, sprinkle with parsley and serve with lemon wedges. Serves 4-6. These skewered veggies are my summer alternative to Roasted Mediterranean Vegetables (from Good Food for Life). When it’s too hot to heat the oven indoors, light up the barbie and grill these on rosemary skewers for extra flavor and flair. Combine the first six ingredients in a large bowl and wisk together the marinade. Add the cubed vegetables and toss. Let sit at room temperature for 10-15 min to absorb the flavors. If you’re making these ahead, you can make the marinade in a large zipper back, add the vegetables and store in the refrigerator until ready to cook for up to 12 hrs. Drain and reserve the marinade. Vegetables can be skewered with the rosemary stalks and then grilled over moderately high head on a gas grill, a charcoal grill or on a stove top griddle for approximately 10 minutes or until tender but still firm, turning to brown all sides and brushing with the reserved marinade as necessary.